[Fed Chairwoman] Yellen should be “ashamed” of what she’s doing to the country [by not raising interest rates], Trump said, adding the Fed is not even close to being independent. Ariel Investments Vice Chairman Charles Bobrinskoy told CNBC the Fed deserves to be criticized for missing opportunities to raise interest rates and for hurting savers and pension plans. But he said it is “dangerous” and “not healthy” for Trump to question the Fed’s integrity. 10 October 2018 “I think the Fed is making a mistake [in raising interest rates]. They are so tight. I think the Fed has gone crazy,” the president said after walking off Air Force One in Erie, Pennsylvania for a rally. 18 December 2018 Washington Post: President Trump warned the Federal Reserve Tuesday not to “make yet another mistake” as it prepares to raise interest rates again this week, actions that the president has blamed for the plummeting stock market. “Get the monetary policy that best serves the economy, and the politics will work itself out,” the paper advised. Trump Tweet 17 December 2018: It is incredible that with a very strong dollar and virtually no inflation, the outside world blowing up around us, Paris is burning and China way down, the Fed is even considering yet another interest rate hike. Take the Victory! I will not try to figure out why President Trump thinks we should take a “Victory” for the “outside world blowing up around us” other than to add that I don’t think this statement is good for investor sentiment. Let’s focus on interest rates. So which Trump is correct? Did low interest rates create a false stock market which Trump described as “big, fat ugly bubble” and punish savers and pension funds while allowing Trump to “get money for almost nothing”. Or should the Fed lower interest rates because the stock market is swooning due to “illiquidity”. BTW, “illiquidity” means the lack of buyers at current prices. It depends on whose side your on – the economy or the financial markets. They are not the same. Candidate Trump was right if you are concerned about the economy, savers and pension funds. The Fed created a financial bubble with little impact on the economy. 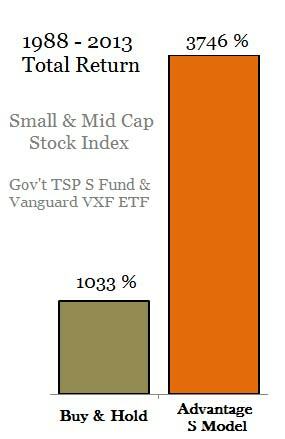 But to sustain the bubble today with low interest rates you would in effect continue to punish savers and pension funds. I see the last 10 year of monetary policy as a transfer of wealth from pension funds to speculators and debtors with little sustainable economic growth to show for it. President Trump and the Wall Street Journal are correct about the stock market and financial markets in general which are ready to implode. But the only way to prevent a bubble from ultimately popping is to prevent the bubble from developing in the first place. The Wall Street Journal is asking for another round of backstopping of the markets with a “pause”. For the financial markets, not the economy. Yes, the financial markets need it and much more. It will never be enough for the markets. What we know from Candidate Trump is that he understood the situation and wanted rates raised before he got into office so the bubble would burst. I do not think he is under the illusion the bubble can be sustained. I think he is effectively deflecting blame to the Fed for the market’s coming troubles as it resets. Yes the Fed deserves the blame for the bubble but not the current Chairman. He is trying to deflate the bubble while attempting to normalize monetary policy to stop the damage inflicted on the world from the last ten years of extreme global policy. The problem with bubbles is they never just deflate. And if you wanted to pop the bubble, you would do just what Trump is doing. Tell your following the bubble is about to burst if the Fed raises rates knowing full well they are committed to raising rates because they see an economy and inflation that support raising rates. Trump does deserve some blame. Candidate Trump was also correct about the need to lower the nation’s debt, yet his tax cuts ensure a much higher debt load. Sure the Fed could pause on short-term rates, but long-term rates are set by supply and demand. And supply is exploding thanks to the budget deficits. In other words, a pause will not stop the coming financial crisis only delay it a bit longer. Which would save the economy from the financial spasms a bit longer. It is not a good time to be the Fed Chairman. Especially when the rug is being pulled out from under you. Knee-jerk reactions aside, the Fed is damned if they do and damned if they don’t raise rates this week.